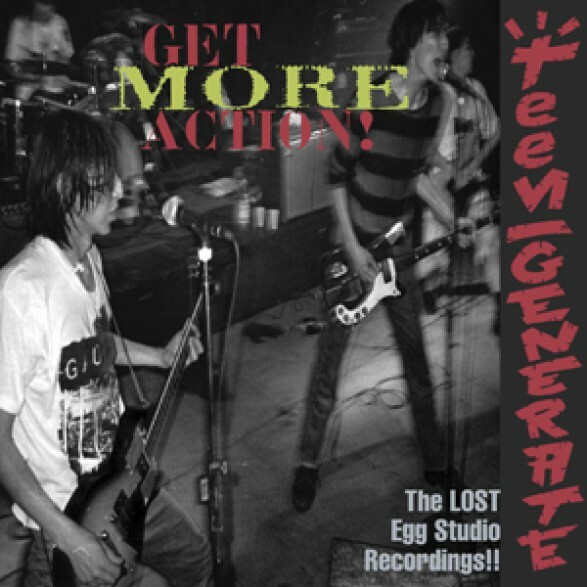 Yasss.... the LONG-LOST May 1994 Egg Studios (Seattle) Crypt album sessions - all hopped-up, remixed etc - FINALLY available after disappearing for 19 years! 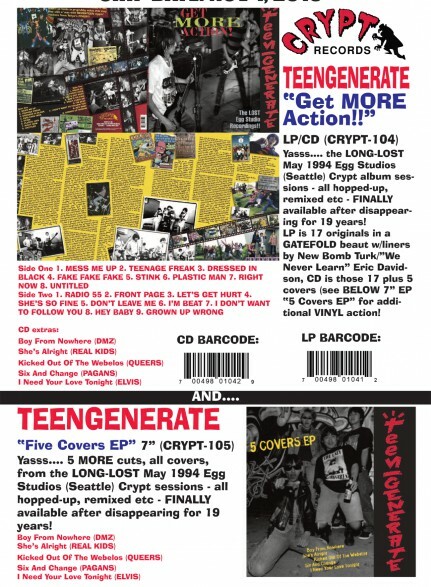 LP is 17 originals in a GATEFOLD beaut w/liners by New Bomb Turk/”We Never Learn” Eric Davidson, CD is those 17 plus 5 covers (see BELOW 7” EP “5 Covers EP” for additional VINYL action! TEENGENERATE "Five Covers EP" 7"